There is seemingly nothing worse than suffering through a sweltering summer with an inadequate or broken air conditioner. And the same goes for heating in the winter time! But fortunately the right contractor can solve these problems efficiently and effectively. In business since 2006, NY NJ A/C Connection is your known and trusted source for air conditioning and heating services. We have truly seen it all! 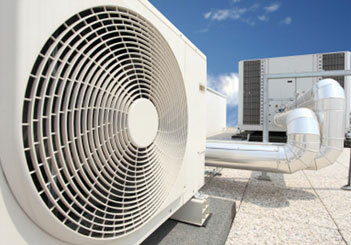 NY NJ A/C Connection are more than prepared to take care of your residential or commercial heating and cooling needs. Our expert technicians are fully trained and certified to perform a thorough inspection of your system and carry out the necessary repairs. We provide solutions that will conserve energy use and save you money on utility bills. We also pride ourselves on how we treat our clients; we strive to always arrive on time, explain all the details and clean up thoroughly as if we’d never even been in your home or business! We proudly provide services, for your family’s health and comfort, ranging from indoor air quality solutions to furnace repair – keeping your home or business comfortable all year round, no matter the weather outside. And we don’t just do repair work – we also specialize in the replacement of units when they are beyond repair. Whether you need emergency services, routine maintenance, or replacement equipment – NY NJ A/C Connection is here for you! At NY NJ A/C Connection, we know that HVAC emergencies happen when you least expect them. So 24 hours a day, seven days a week, our dedicated technicians are ready to deliver prompt, reliable heating and air conditioning repairs and maintenance services to your home or business. Contact us with confidence, knowing that we service and install all brands of equipment. Our heating technicians quickly handle heating repairs of all the leading heating equipment system manufacturers and brands. From furnaces to boilers, our heating repair contractors will ensure your repairs are done fast right the first time. We also offer a comprehensive service plan to help you avoid any unnecessary HVAC repairs to ensure your home comfort equipment remains in optimal condition all year round. NY NJ AC Connection understands that your heating system is one of the most important investments and necessary equipment in your home. If you are concerned your furnace or boiler isn’t running as effectively or efficiently as you would like, call us. We can assist you in replacing it before it costs you any more in avoidable repairs than a new purchase or if it becomes unsafe. A comfortable and safe home environment for your loved ones needs an energy efficient and safe heating system. Call us for all your furnace and boiler installation and replacement needs.